My sister and I are the best of the best. 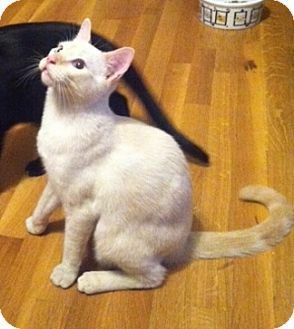 We are flame point lovely, we have good manners, are loving, and highly entertaining. What more could you want! If you want to tell us apart, I'm the 'peachiest' one.Visit this organization's web site to see any additional information available about this pet.